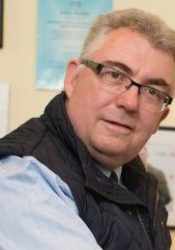 Jamie Gwatkin is a Rural Business Consultant with over 30 years experience. He specialises in arable businesses and is also a pig specialist. He has a wide range of other skills, including business reorganisations and collaboration. He won the prestigious Farmers Weekly – Farm Advisor of the Year Award 2016. Jamie can bring 10 fold return on fees and sustainability as we head towards BREXIT. He targets the achievement of the client’s aim and objectives to help make rural businesses successful.